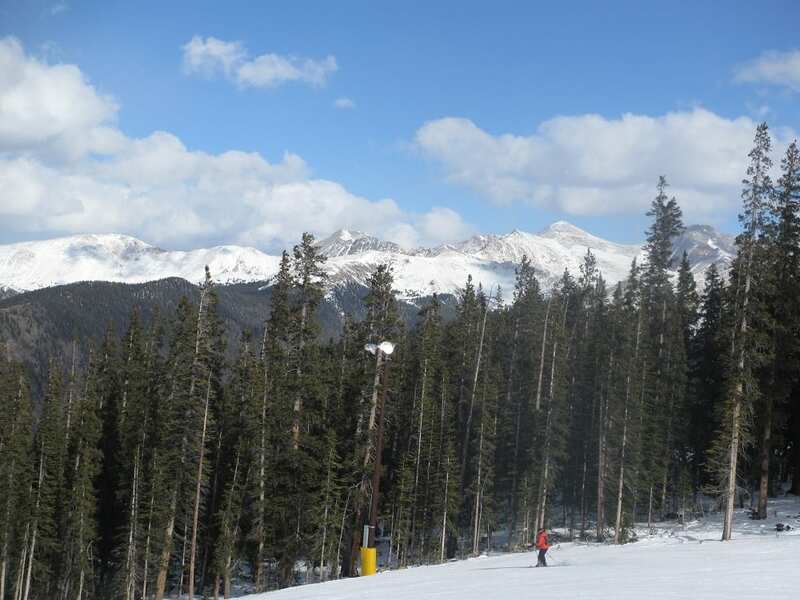 Keystone Ski Resort is a big Summit County resort, and one of the closest to Denver, at an hour and 15 minutes. 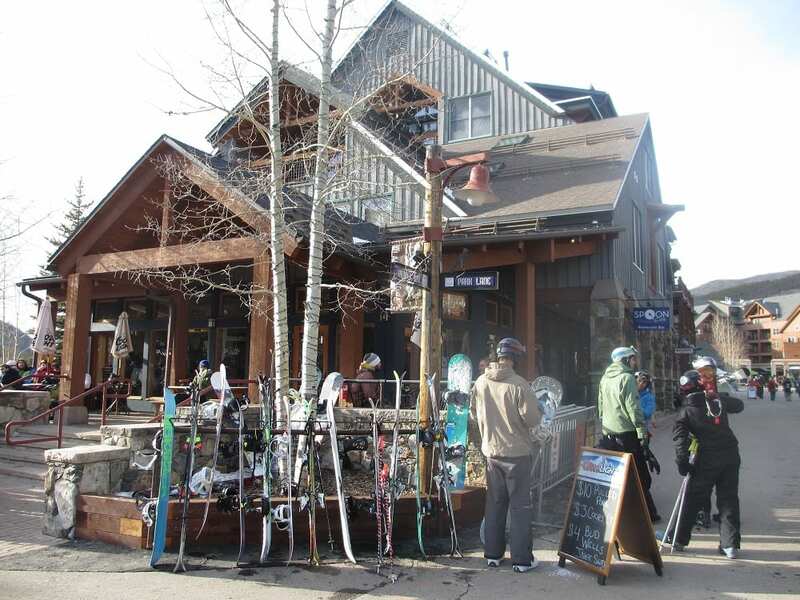 Neighbor resort Breckenridge often overshadows Keystone in popularity, despite Keystone having more skiable terrain. 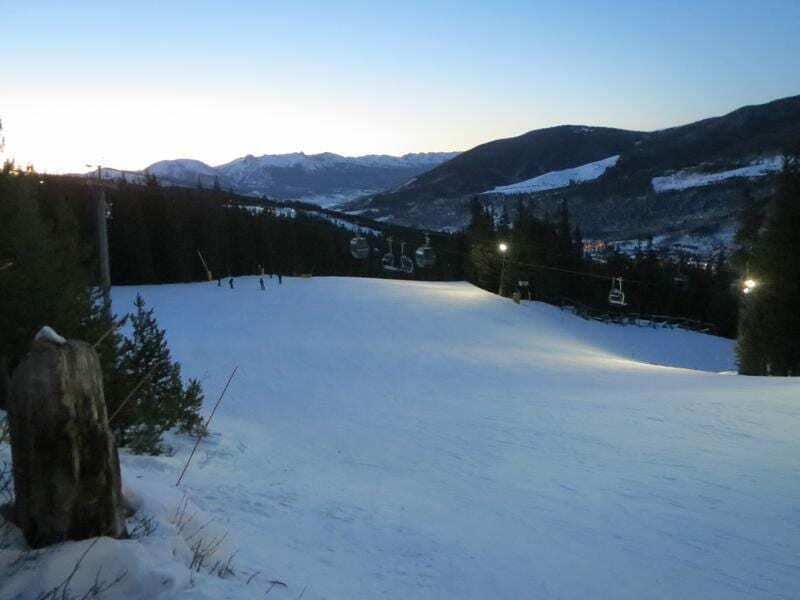 Keystone has the largest night skiing in Colorado, available on most weekends and holidays, so don’t worry about sleeping in! 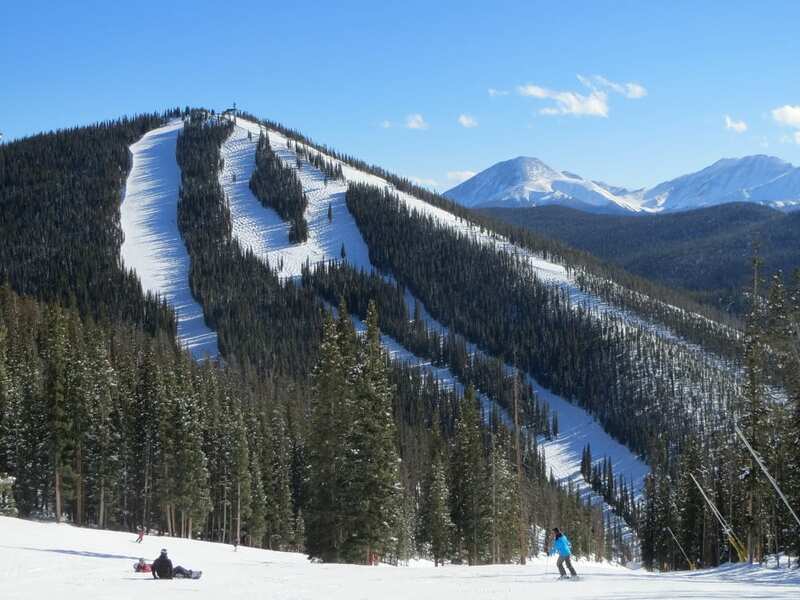 Aside from hitting the ski slopes, Keystone offers lots of other great winter attractions, like cross country skiing or a horse drawn stagecoach. 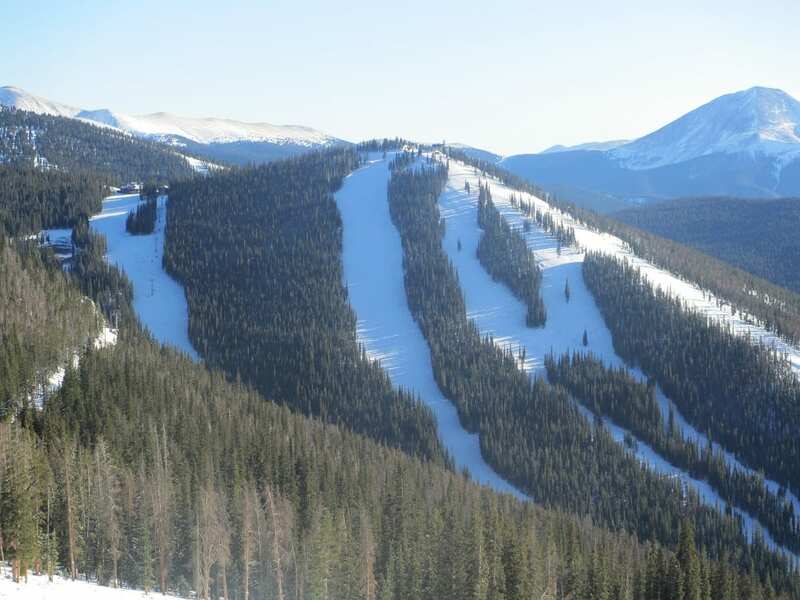 Keystone is spread over three distinct mountains: Dercum Mountain, North Peak and The Outback. Throughout these mountains you’ll find an incredible collection of trails and terrain features. 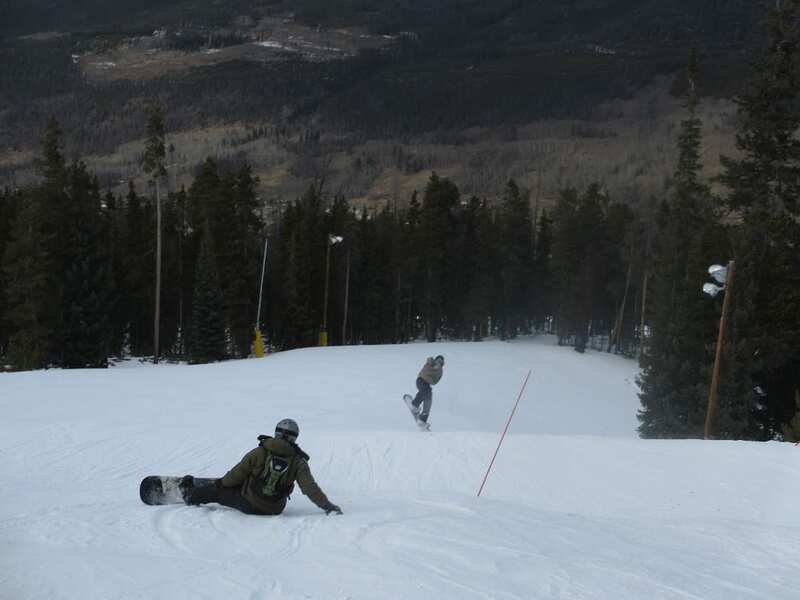 There are groomers, bumps, steeps, trees, bowls, hike access, back-country gates, terrain parks, and learning areas. There’s a 135 total trails. 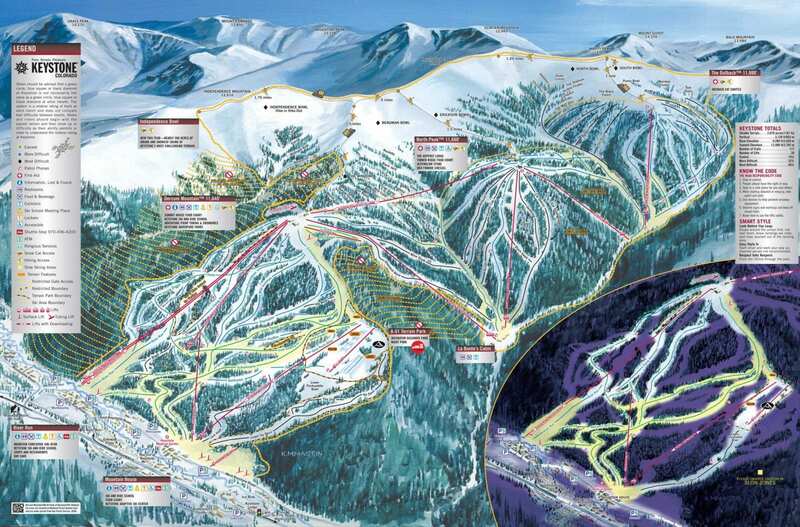 Another plus at Keystone is there are two lifts from the main base area and both take you to the top. 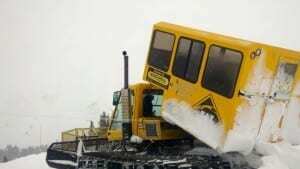 You can choose either a gondola or high-speed chair lift, which helps to shorten the lines. 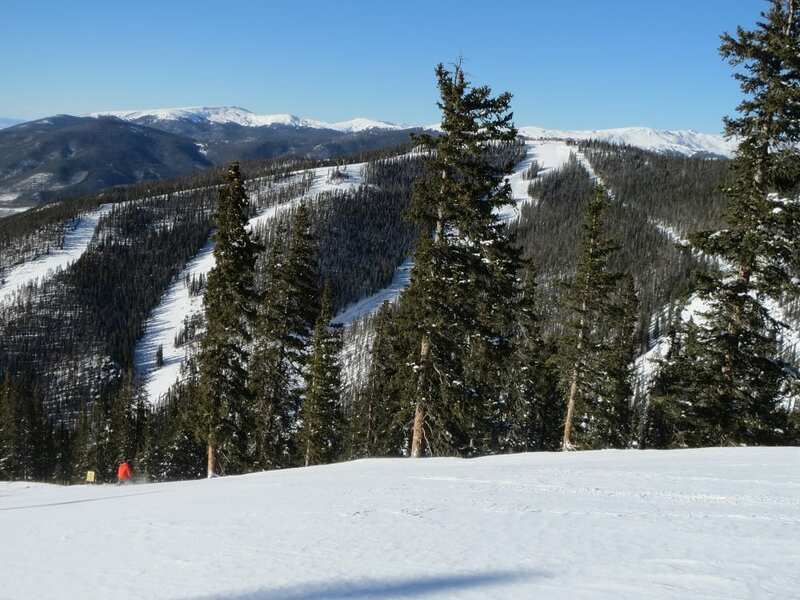 Beginners will find several easy slopes that take you from the top of the mountain to the bottom, in addition to a few designated learning areas. 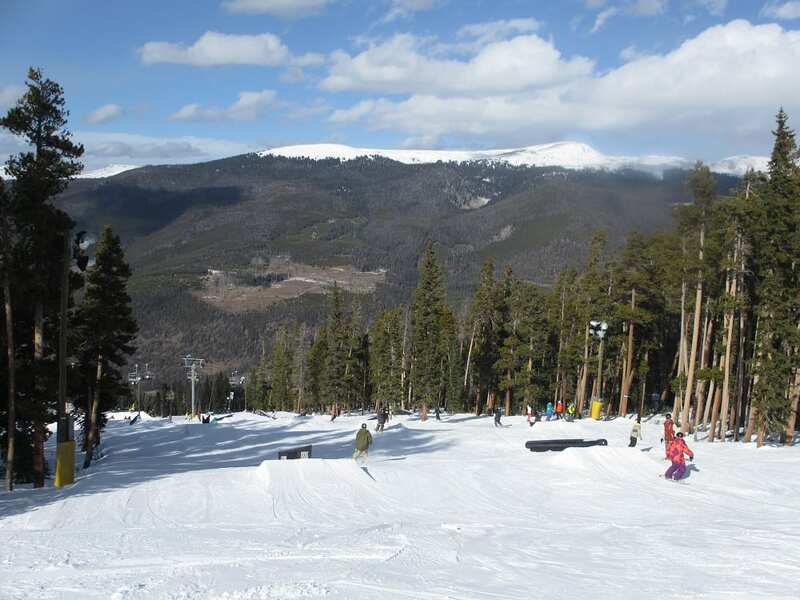 Intermediates will have a blast on all of Keystone’s long cruisers, available on each of the three mountains. 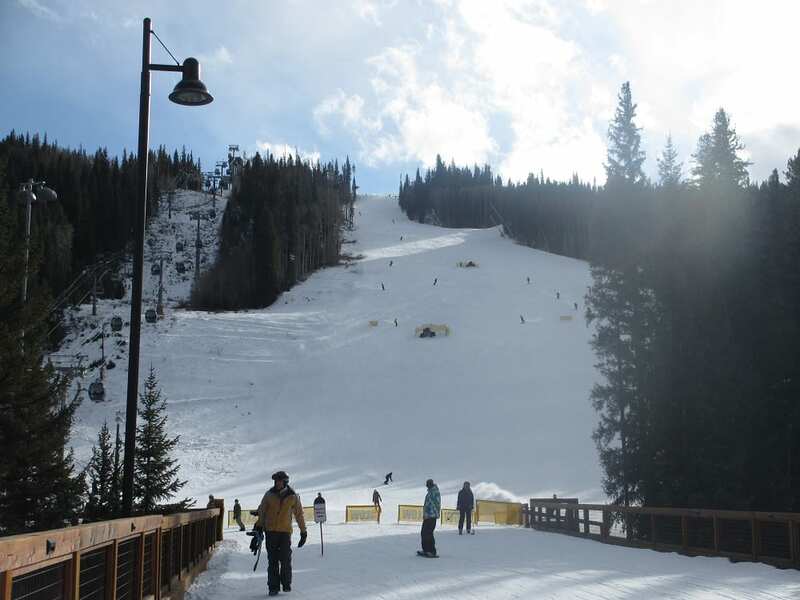 With nearly fifty percent of Keystone’s ski area rated most difficult, advanced riders will have lots to choose from. Immediately on the backside of Decorum Mountain you can usually find good stashes in the trees or off a number of slopes on North Peak and The Outback. Keystone offers snow cat rides at $5/pop, which will give you access to deep powder stashes and prime bowl skiing in The Outback. 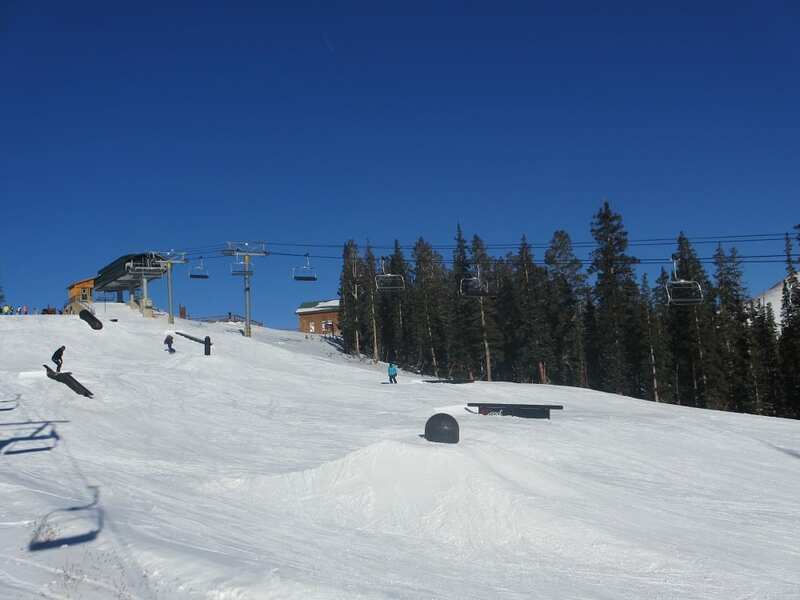 Area 51 is one of the largest terrain parks in the country, filled with freestyle skiers/riders of all ages and abilities. 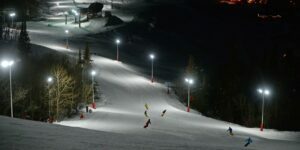 Most of the terrain park is open during night skiing. 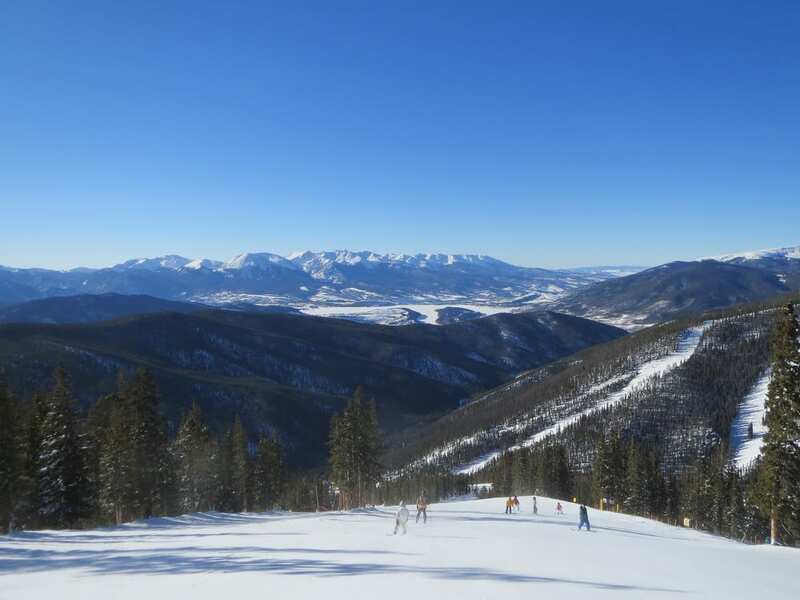 Wherever you end up skiing you’ll be surrounded by majestic mountain peaks and stunning alpine views. 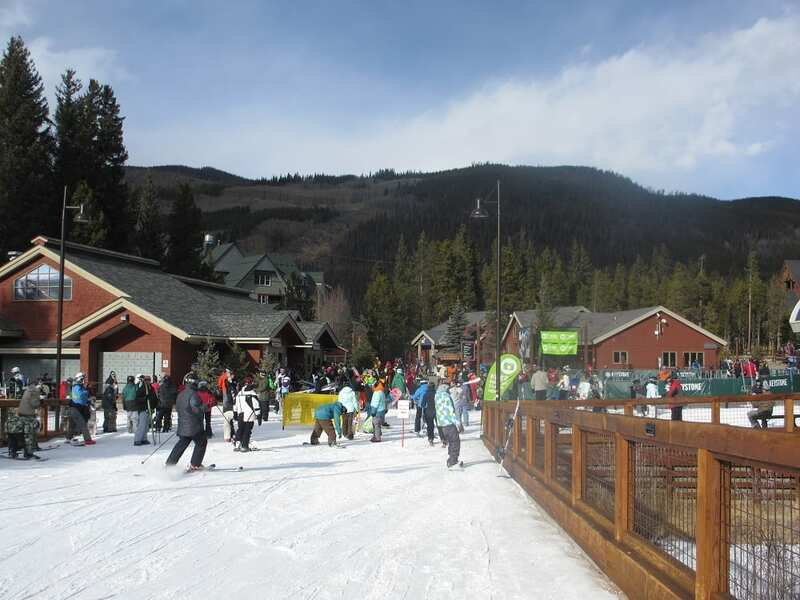 Keystone has a nice mountain village at its base. 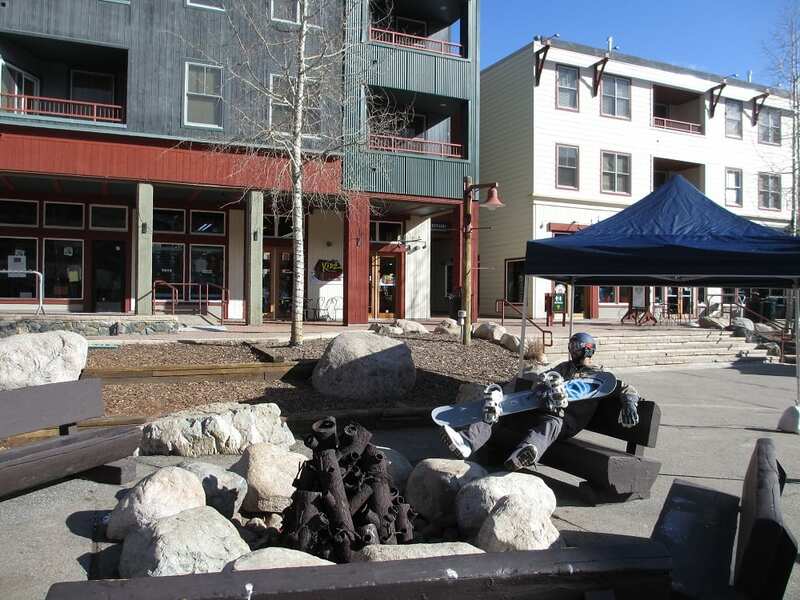 It is a modern, pedestrian only village with lots of nice shops, restaurants and lodging. 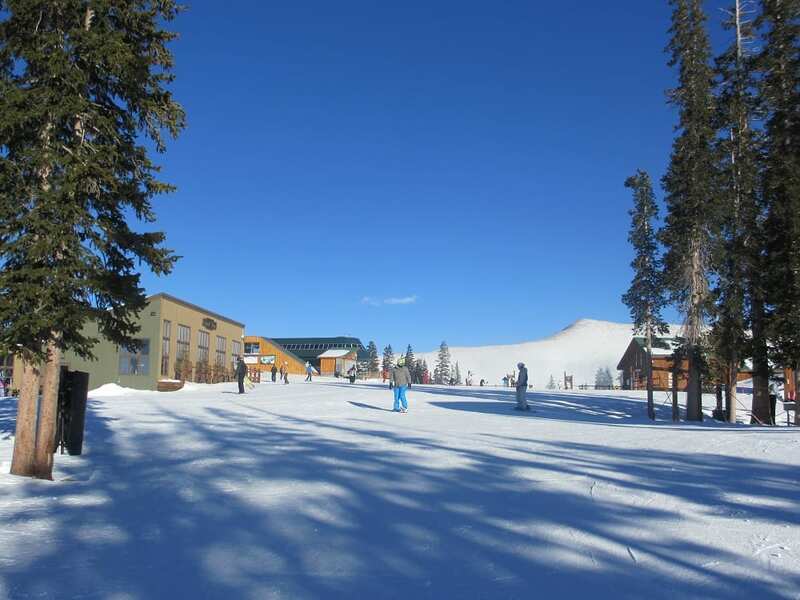 Keystone Lake is located nearby and in the winter it becomes a massive five-acre ice skating rink. There is also ice skating in Dercum Square. The town of Keystone also has a commercial strip with additional hotels, restaurants and other amenities. 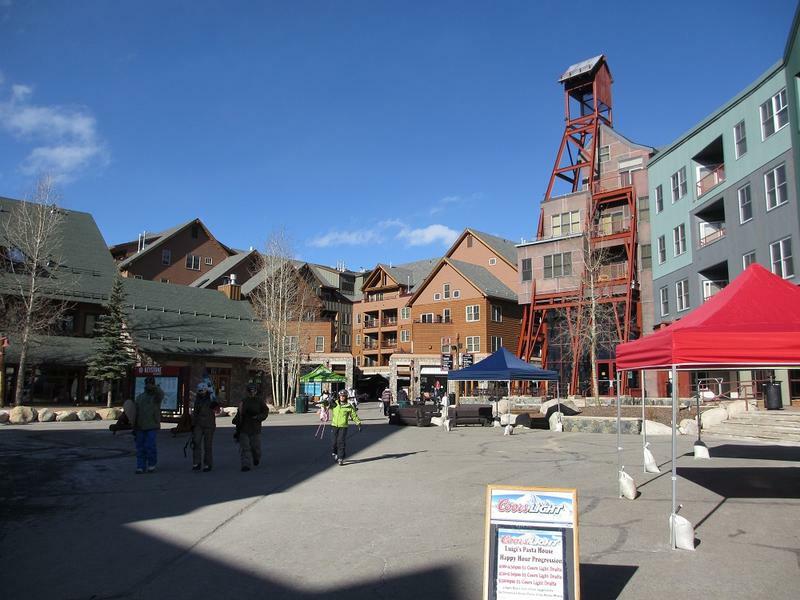 Nearby towns of Silverthorne, Dillon, Breckenridge, Frisco and Copper Mountain make Keystone and Summit County a convenient, bustling place to stay. 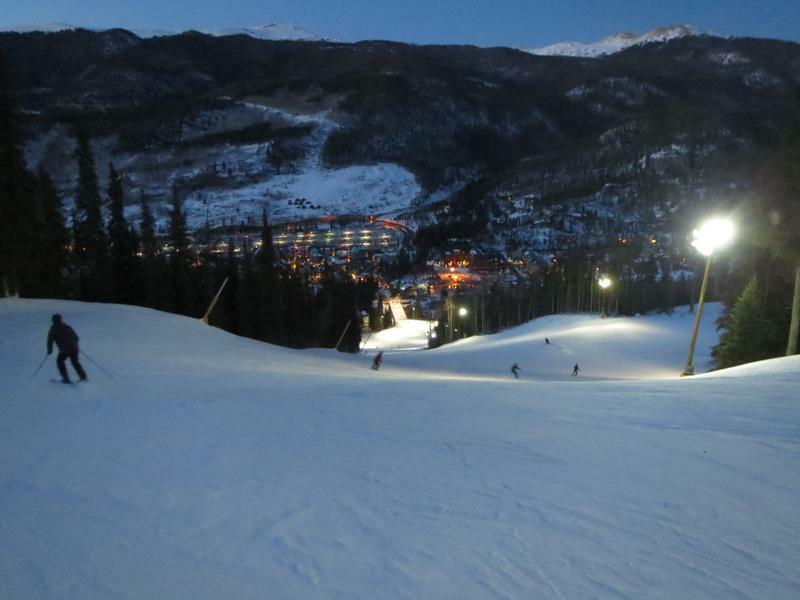 The resort offers on-mountain snow tubing, open daily, day and night. 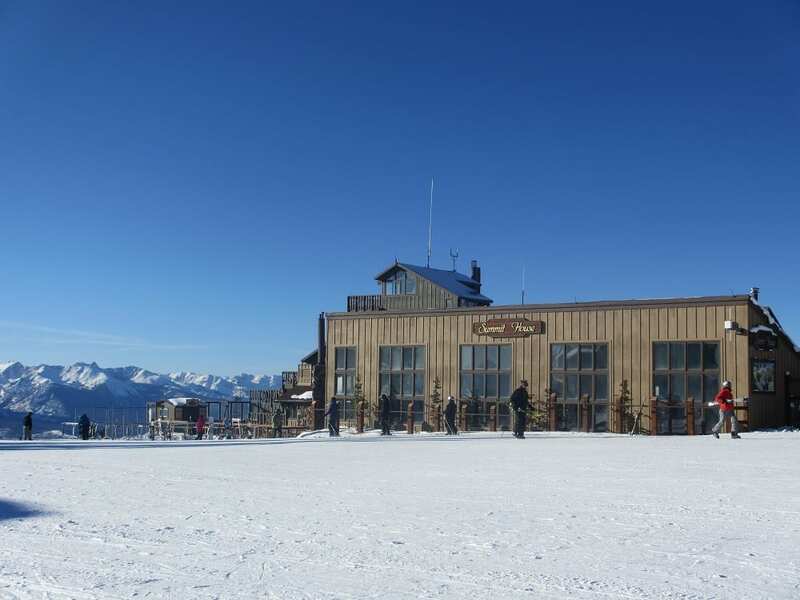 Summit House cafeteria and bar at the top of gondola. Lake Dillon in the distance. 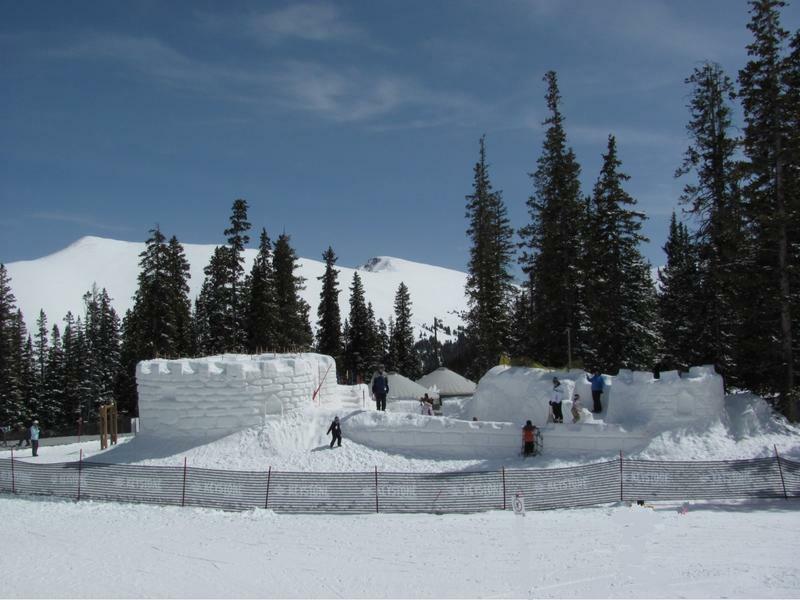 Snow castle on top Keystone Ski Resort. 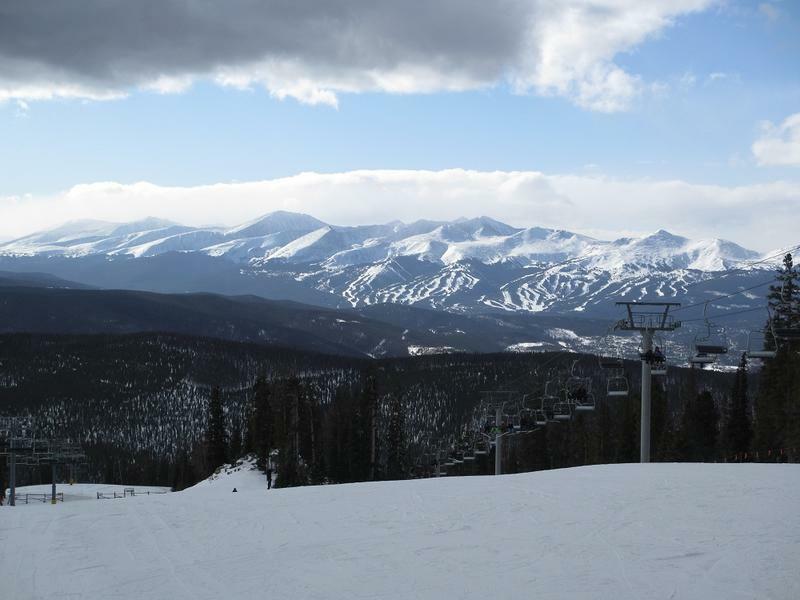 Looking out at Breckenridge from the slopes. 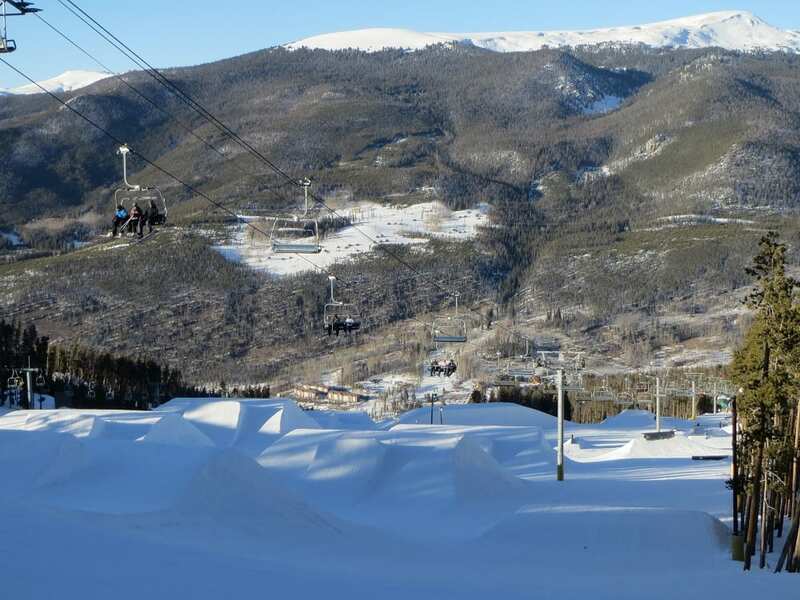 Some features in Area 51 Terrain Park. Going down the front side of the mountain. Final pitch into the base village. 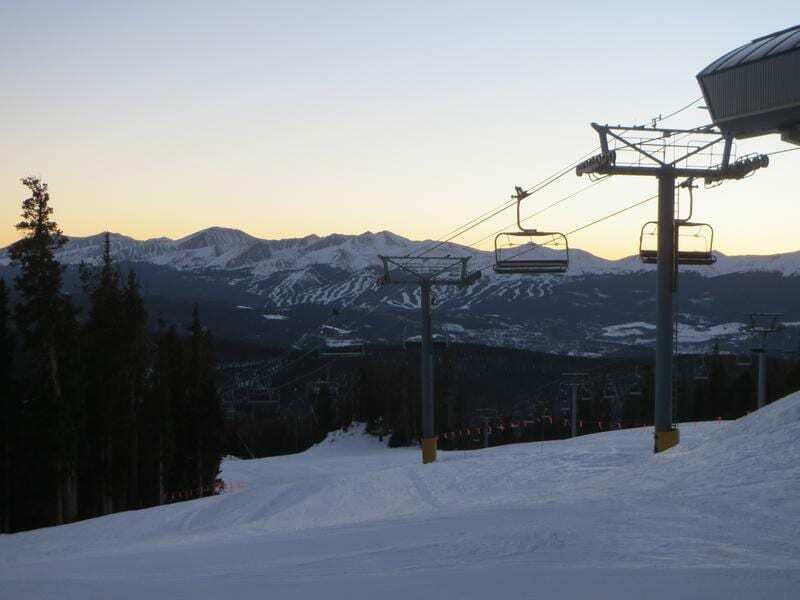 Sunset over Breckenridge in the distance. 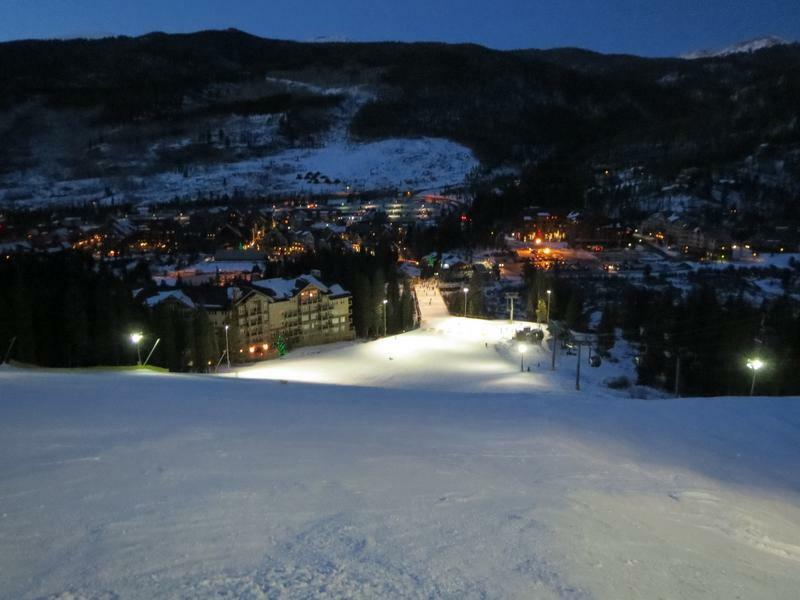 Night skiing is open select days. Skiing down to the base. Final stretch into River Run Village. 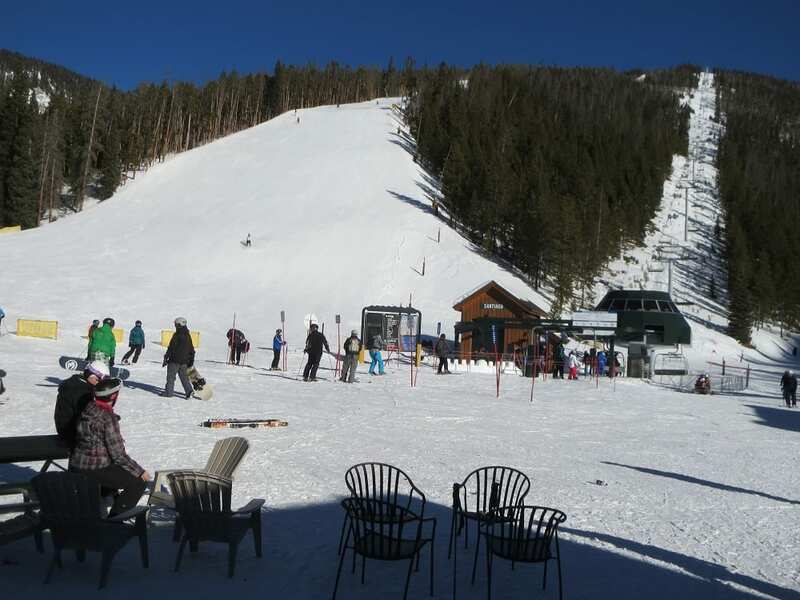 Beautiful, blue-sky day at Keystone Ski Resort. 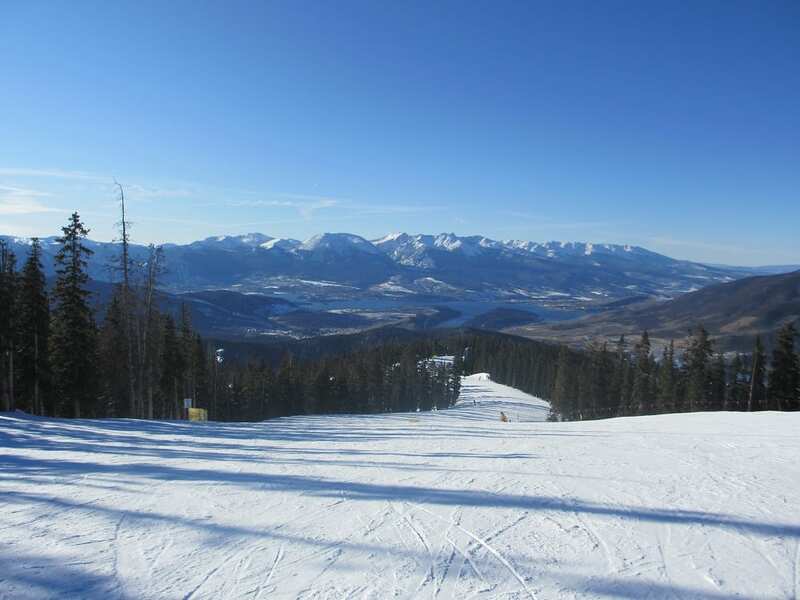 November 16, 2011 – Keystone’s River Run Gondola was open to the top of the mountain. 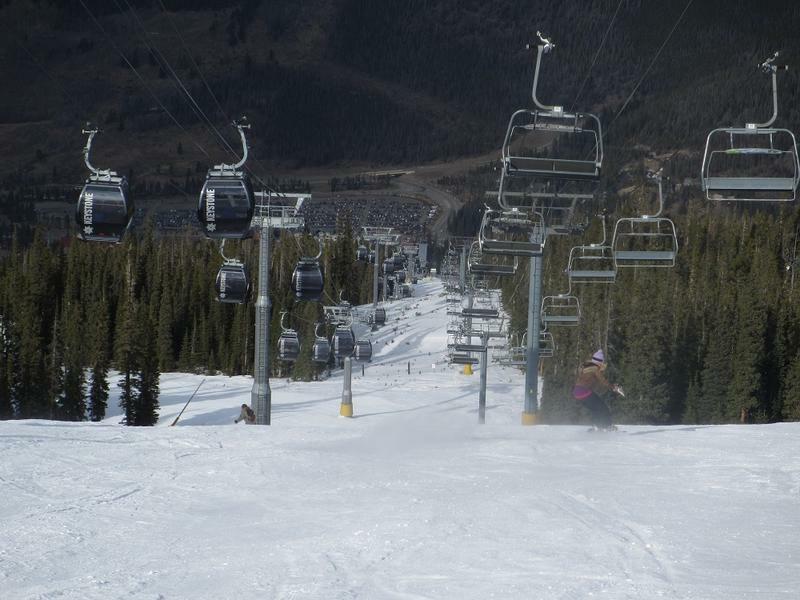 From the top, there were several intermediate runs to choose from down the front side. 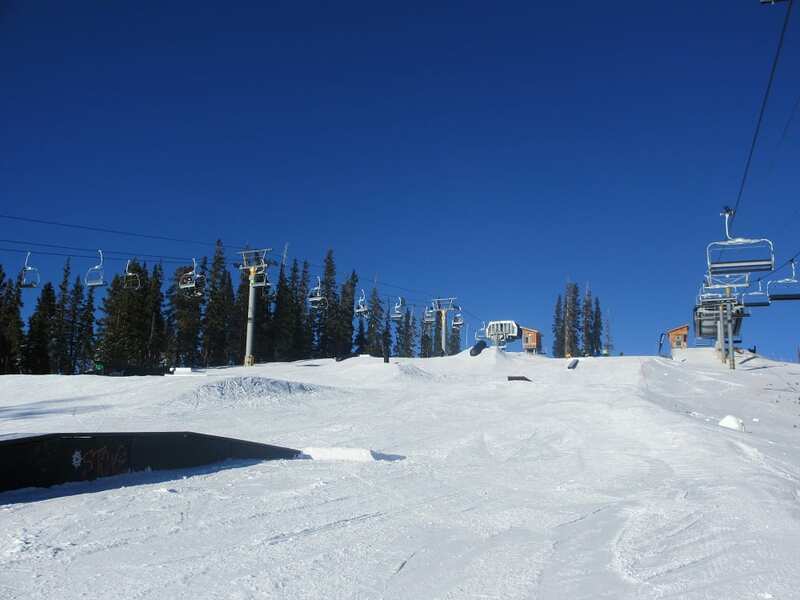 A terrain park was open and lift accessed from directly across from the Summit House lodge at the top. 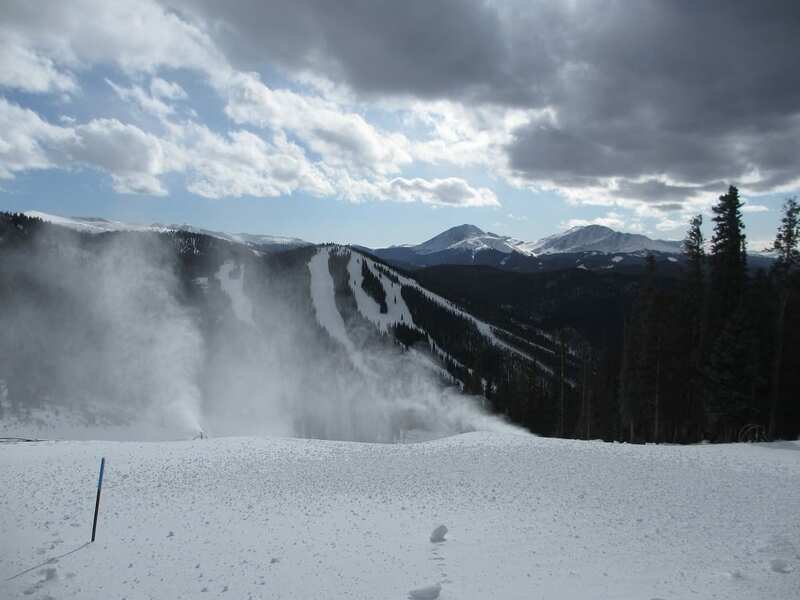 One more chairlift, the Ruby Express was open offering additional terrain down the side of Keystone. On a Wednesday there were no crowds and a perfect, blue-sky day. 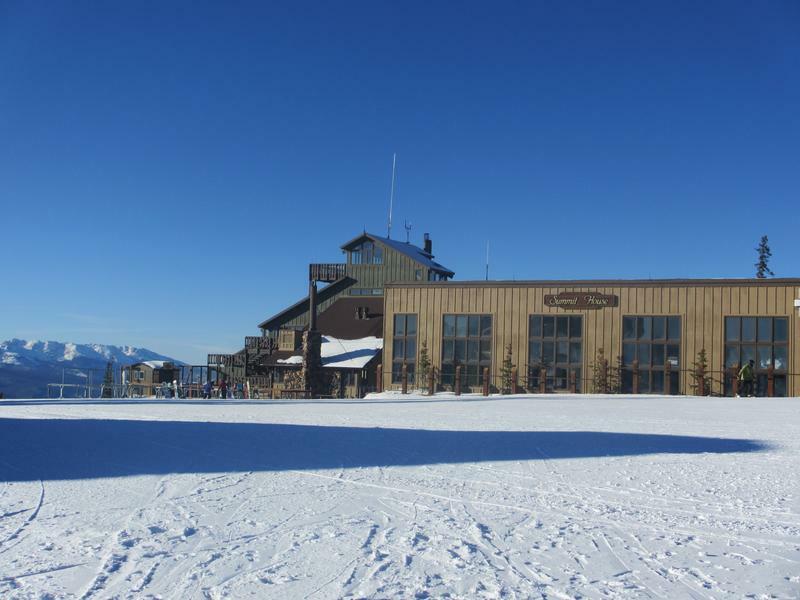 The Summit House.at the top of Gondola provides a cafeteria and bar. North Peak looks ready from afar. 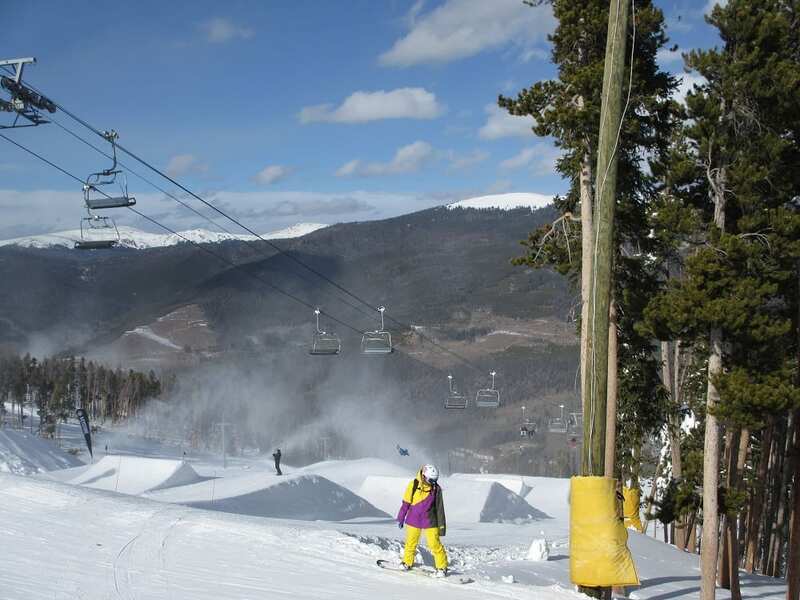 Early season terrain park features a series of rails. 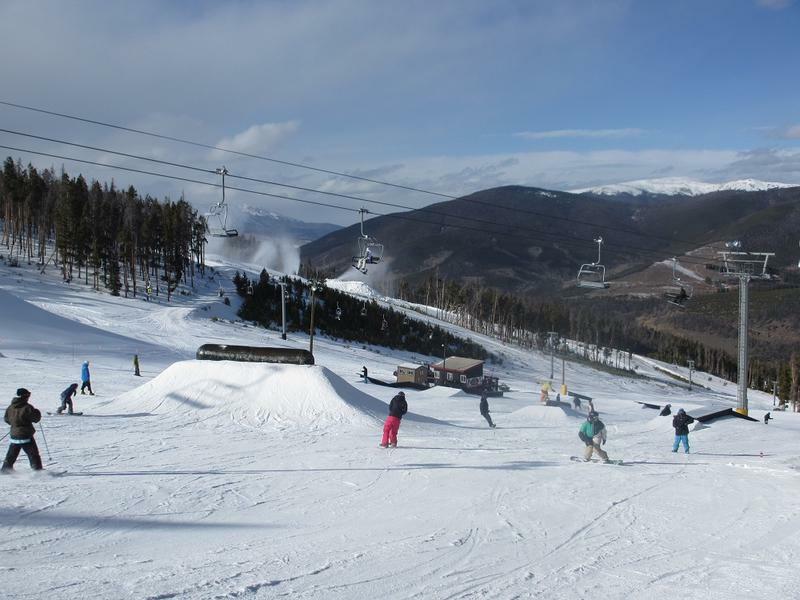 Chairlift view of the terrain park. Learning area with enclosed magic carpet. The top of the River Run Gondola. Intermediate run to Ruby Express. 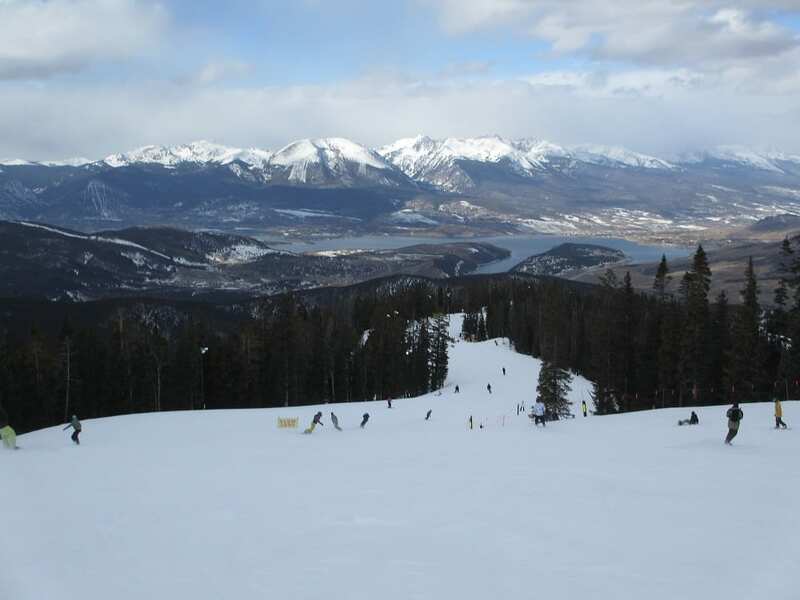 The large Lake Dillon in view from Keystone Resort. 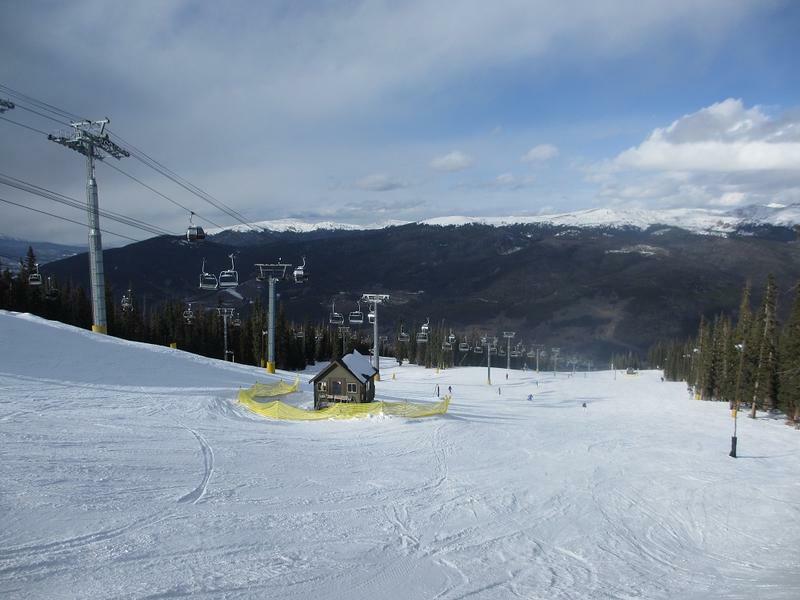 December 2, 2011 – Keystone Resort opened some more runs and lifts this weekend. You can ski down a good portion of the front side of the mountain. They are now at about three hundred acres and twenty runs open. 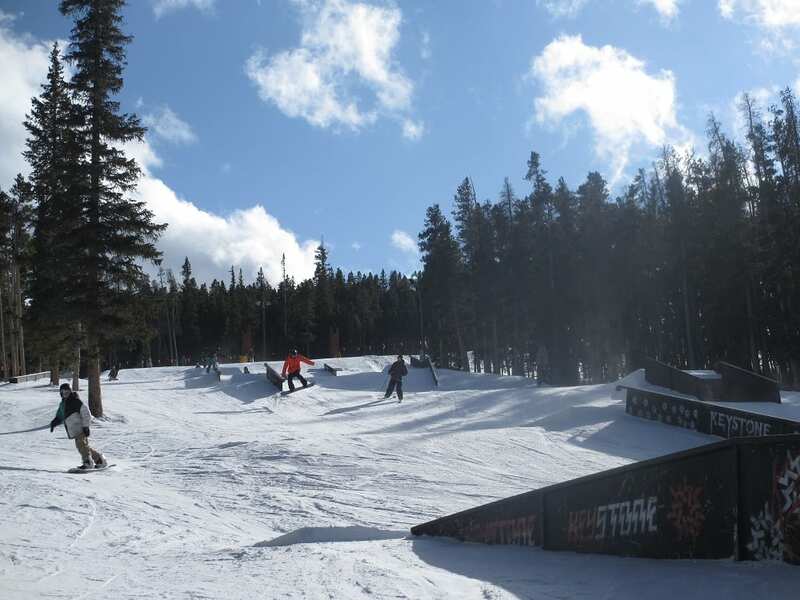 The terrain park, Area 51, has opened for the season and is full of jumps and rails. 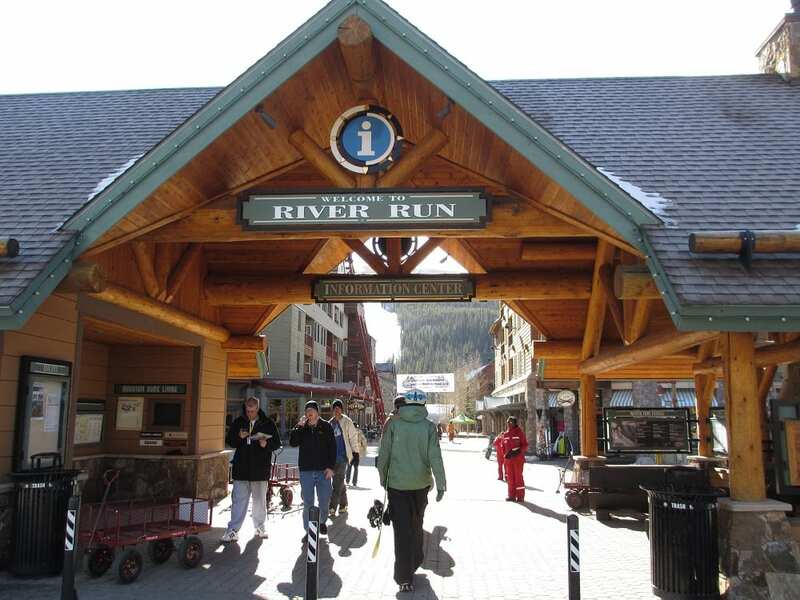 Entrance to River Run Village. It's a short walk to the slopes, but sometimes you need a break. The walk from free parking takes you through River Run Village. 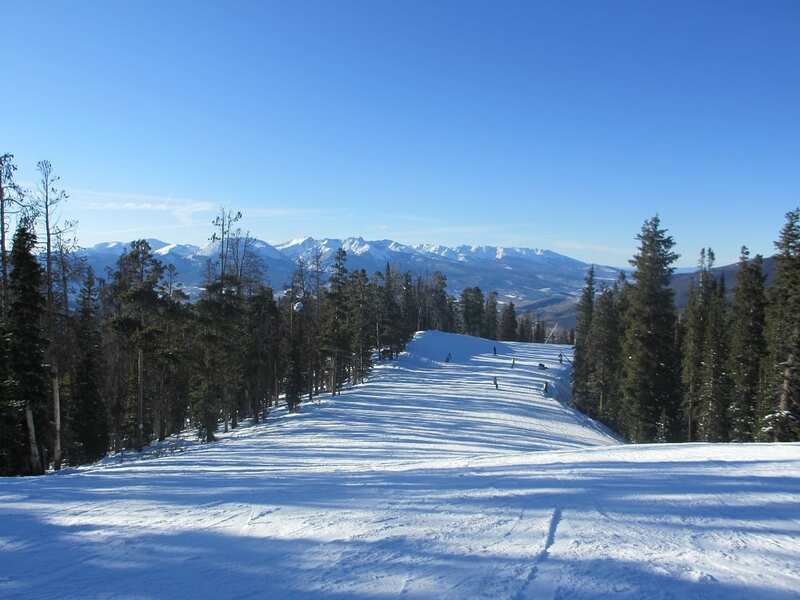 View of Breckenridge Ski Resort from the slopes of Keystone. 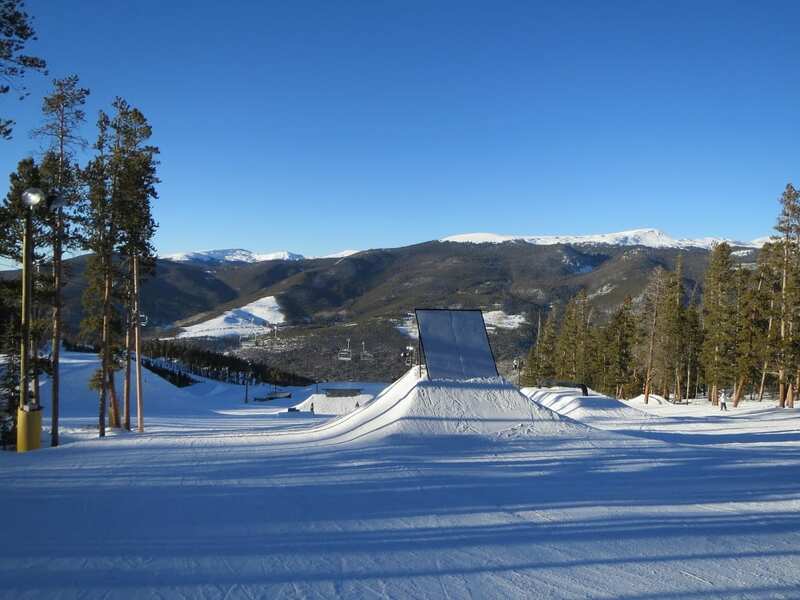 Jumps at Area 51 Terrain Park. The last of the features in Area 51. Keystone opened a few runs down the face. In the distance is A Basin. 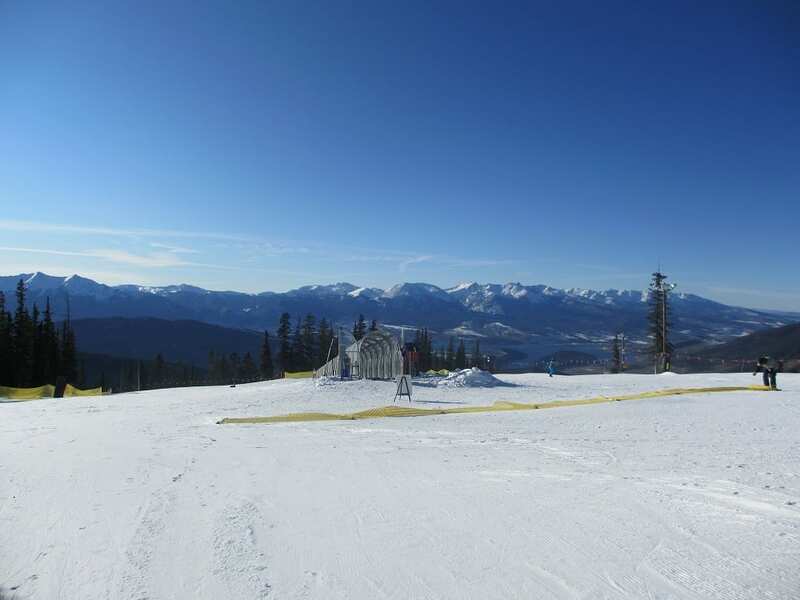 If you look closley, you can see the Montezuma Bowl chairlift glittering in the sun. 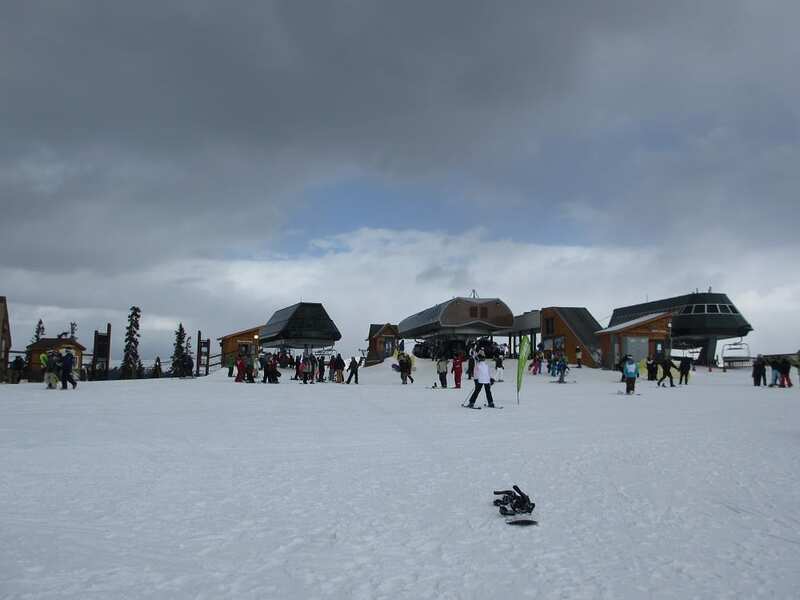 There are two ways up from the base: Gondola or Chairlift. Snowboarder AJ maybe getting off the ground. The bridge back to the village. 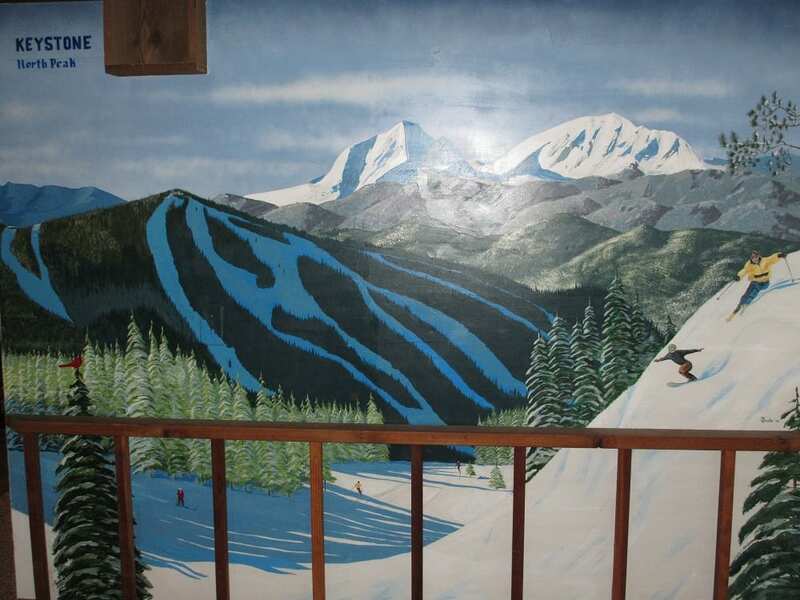 The condo we stayed at had this cool mural of Keystone's North Peak. 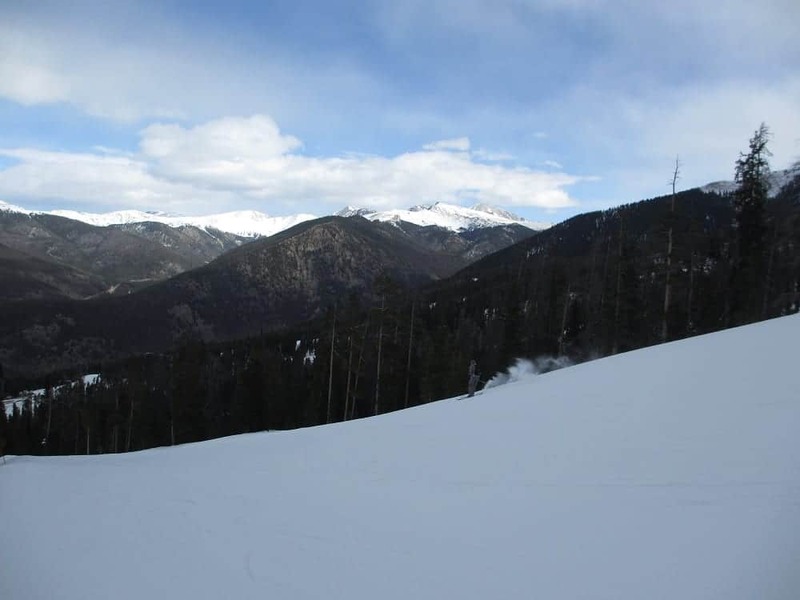 February 16, 2013 – Keystone is the largest resort in Summit County with 3,148 skiable acres. 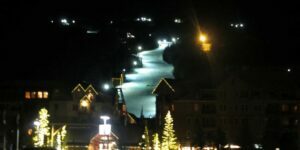 On most weekends and select holidays Keystone offers night skiing. This is great because you can go up later on a Saturday and ski until 6pm or so, and avoid I-70 traffic. 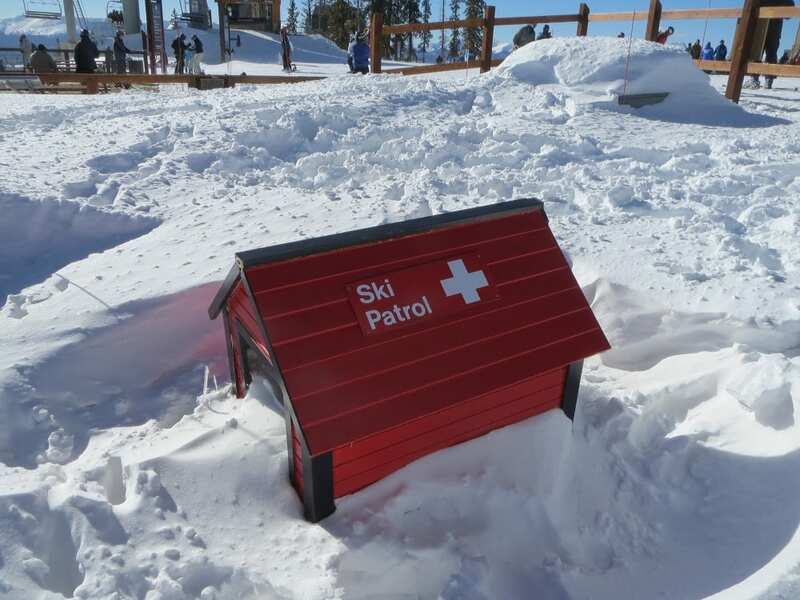 A small ski patrol office. Frozen Lake Dillon in the distance. Looking back at Dercum Mountain - 11, 640 ft. Some booters in Area 51 Terrain Park. More features and rails in Area 51. 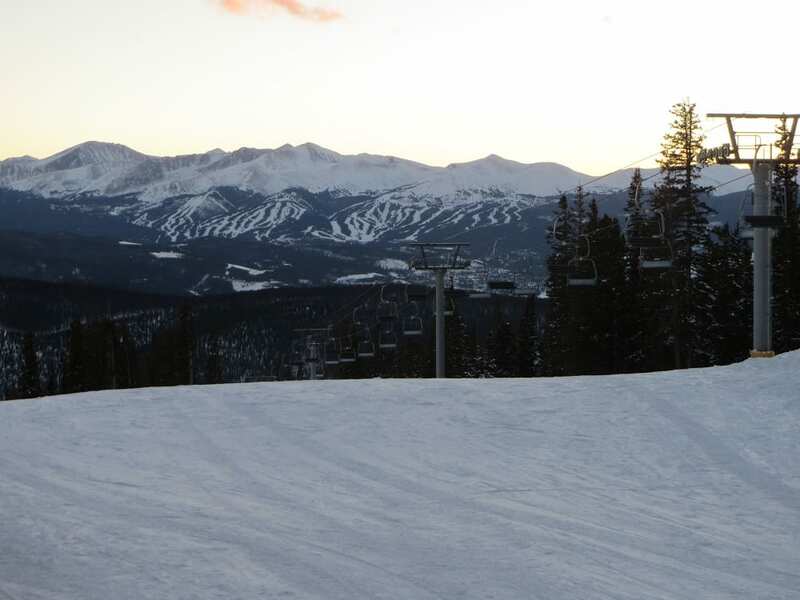 Sunset over Breckenridge Ski Resort in the distance. 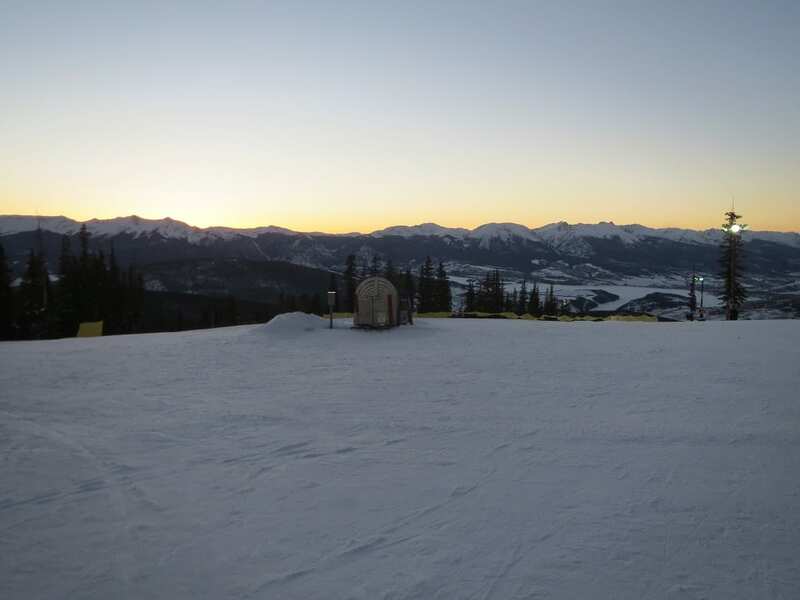 Another sunset over the Ten Mile Range.